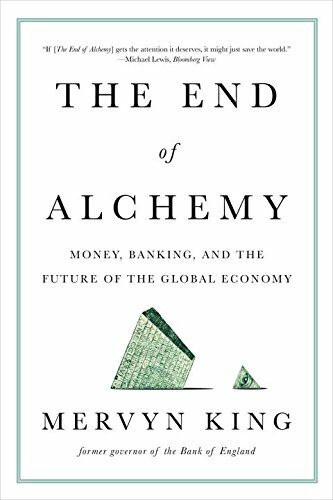 I’m late to Mervyn King’s The End of Alchemy, which as all the reviewers have noted is a very well written and interesting book. It isn’t exactly cheering. On the contrary, it cast me into gloom. As the final chapter puts it, “Without reform of the financial system, as proposed in Chapter 7 [a set of reforms with approximately zero chance of happening…..] another crisis is certain, and the failure to tackle the disequilibrium in the world economy makes it likely it will come sooner rather than later.” The chapter goes on to say not to worry, there’s something that can be done: forgive Greek debt and break up the Euro (or go for a full political union). Globally, stop struggling with Dani Rodrik’s trilemma of democracy, national sovereignity and economic intergration – King seems prepared to give up on the third leg. Change policies in China, Japan and Germany. In short, just tackle the underlying global imbalances and all the other problems or symptoms – debt overhangs, zero interest rates etc – will resolve themselves. No problem then. To be fair, King does speak of “the audacity of pessimism”. Trouble is, you need a lot of people to get a lot more pessimistic before such policy changes would come about. As the book also points out, the last time there was such a big re-ordering was after the 1930s and 2nd world war. More cheering is Dave Birch’s wonderful forthcoming book Before Babylon, Beyond Bitcoin, the latest in the Perspectives series (and the first full-length one). It surveys the history and the future of money. In this blog post, Dave suggests an e-currency for Manchester (and other cities). As in his previous work, Identity is the New Money, Dave points out the close link between money and trust – indeed, Mervyn King makes this point too. So financial stability is a question of communities of trust. It’s more comforting to think about trust from the ground up rather than global imbalances and crises…. This entry was posted in Main Page and tagged financial crisis, money by Diane Coyle. Bookmark the permalink.